He’s been a dimwitted camp counselor, a dimwitted millionaire, a dimwitted sports reporter, a dimwitted surf instructor, a dimwitted drug lord, and a searingly honest portrayal of working-class ennui and frustration as a sensitive small-town fisherman. Oh, and also a guy who can communicate with ants. 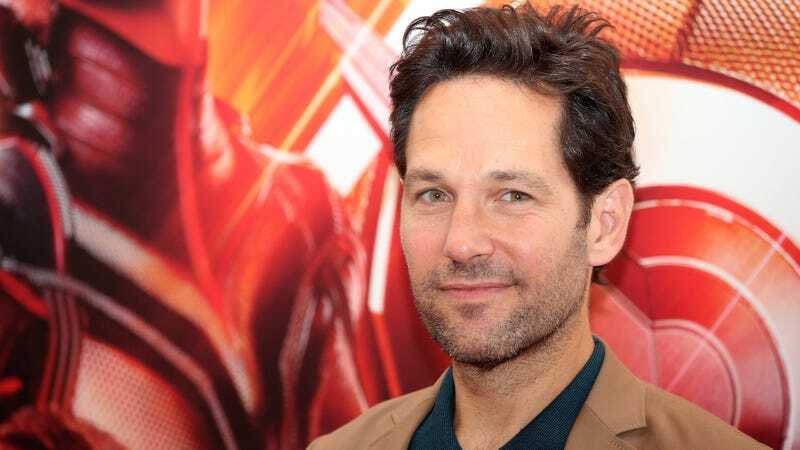 And now Paul Rudd is set to take on a role that might make most of his previous roles look relatively normal: A guy who gets replaced by himself—or rather, a better version of himself. Deadline reports Rudd is set to exec produce and star in Living With Yourself, a new comedy series written by Emmy and Peabody award winner Timothy Greenberg (The Daily Show with Jon Stewart). Netflix has ordered eight episodes, with Battle Of The Sexes helmers Jonathan Dayton and Valerie Faris set to direct and co-exec produce alongside Rudd. The show will star Rudd as a man “struggling with his life who undergoes a novel treatment to become a better person, and finds he’s been replaced by a new and improved version—revealing that his own worst enemy is himself.” And yes, that means he’ll be performing opposite himself. So it sounds a bit like a cross between My Name Is Earl, Eternal Sunshine Of The Spotless Mind, and that one episode of Buffy where Xander gets split into two guys. It’s described as “a philosophical comedy,” which is probably code for “we’re trying to do something smart and weird.” And since it’s on Netflix and not, say, ABC, it might have a chance of sticking around.